This task sets up your system for GIS development. Commonly referred to as GRASS, this is a Geographic Information System (GIS) used for geospatial data management and analysis, image processing, graphics/map production, spatial modeling, and visualization. GRASS is currently used in academic and commercial settings around the world, as well as by many government agencies and environmental consulting companies. This package contains the header files for developing with GRASS. Install this package if you wish to develop software that manipulates GRASS data sets or install addons using the g.extension module. CGAL (Computational Geometry Algorithms Library) makes the most important of the solutions and methods developed in computational geometry available to users in industry and academia in a C++ library. The goal is to provide easy access to useful, reliable geometric algorithms. This package contains the header files and static libraries for libCGAL.so, libCGAL_Core.so, and libCGAL_ImageIO.so. The header files and static libraries for libCGAL_Qt5.so can be found in the package libcgal-qt5-dev. libcitygml is a small and easy to use open source C++ library for parsing CityGML files in such a way that data can be easily exploited by 3D rendering applications (geometry data are tesselated and optimized for rendering during parsing). For instance, it can be used to develop readers of CityGML files in many 3D based applications (OpenGL, OpenSceneGraph, ...) Most metadata are not lost, they are available through a per-node hashmap. CityGML (City Geography Markup Language) is an XML-based schema for the modelling and exchange of georeferenced 3D city and landscape models that is quickly being adopted on an international level. This package contains develop files: static and header files of libcitygml. This package provide files for translation from libcv-dev to subdivided packages. This package contains the header files and static library needed to compile applications that use OpenCV (Open Computer Vision). This package provide files for translation from libcvaux-dev to subdivided packages. This package contains header files, pkgconfig files and static libraries for DAP. The Interpolation library (EMOSLIB) includes Interpolation software and GRIB, BUFR, CREX encoding/decoding routines. It is used by the ECMWF meteorological archival and retrieval system (MARS) and also by the ECMWF graphics package MetView. This package contains the static libraries and headers needed to build applications against libemos. The ENVISAT Product Reader API is a set of C-source code files supporting developers who want to use MERIS, AATSR, and ASAR data products of the ESA ENVISAT satellite in their software. existing scientific software packages written in C or C++, or COTS software systems which allow for extension using a C or C++ interface. This package contains development files (headers and static libraries). Epsilon is C library for wavelet based lossy image compression. Wavelet-driven compressors are know to be much more effective than traditional DCT-based ones (like JPEG). At the moment, the program supports about 30 different wavelet filters, runs in parallel in multi-threaded and MPI environments, can process huge images and much more. This package contains development stuff. FreeXL is a C library implementing direct reading of Microsoft Excel spreadsheets, up to the BIFF8 file format specification (i.e. .xls, Microsoft Excel XP/2003 and older). The XML SS file format specification (.xlsx, Microsoft Excel 2007 and newer) is not supported. This is the development package for developing applications that depends on libfyba. It includes header files, static library files and HTML documentation. This package contains the static library, pkg-config files and include files needed to build with the General Cartographic Transformation Package library. GDAL supports many popular data formats, including commonly used ones (GeoTIFF, JPEG, PNG and more) as well as the ones used in GIS and remote sensing software packages (ERDAS Imagine, ESRI Arc/Info, ENVI, PCI Geomatics). Also supported many remote sensing and scientific data distribution formats such as HDF, EOS FAST, NOAA L1B, NetCDF, FITS. This package contains the files needed to develop a software that will use the GDAL/OGR (headers, static objects, configuration script). Geo::GoogleEarth::Pluggable is a Perl object oriented interface that allows for the creation of XML documents that can be used with Google Earth. Supported output formats include KML and KMZ, optionally including HTTP headers appropriate for a web application. However, if you need to read KML files, please see the Geo::KML package's from method. The original goal of Geo::Gpx was to produce GPX/XML files which were parseable by both GPX Spinner and EasyGPS. As of version 0.13 it has been extended to support general parsing and generation of GPX data. Both GPX 1.0 and 1.1 are supported. Geo::Proj4 is a wrapper library around PROJ, a cartographic projection library, for easy use in Perl software. The Open Source PROJ library converts between geographic coordinate systems. It is able to convert between geodetic latitude and longitude (LL, most commonly the WGS84 projection), into an enormous variety of other cartographic projections (XY, usually UTM). Geo::Shapelib is a module to read, create and write shapefiles as defined by ESRI, using Perl. It provides the Perl binding for the Shapelib library. The Shapefile format is a working and interchange format promoted by ESRI for simple vector data with attributes. It is apparently the only file format that can be edited in ARCView 2/3, and can also be exported and imported in ArcGis. GeoIP is a C library that enables the user to find the country that any IP address or hostname originates from. It uses a file based database. This database simply contains IP blocks as keys, and countries as values and it should be more complete and accurate than using reverse DNS lookups. GEOS provides a spatial object model and fundamental geometric functions. It implements the geometry model defined in the OpenGIS Consortium Simple Features Specification for SQL. This package contains the headers and libraries needed to develop programs using GEOS in C++. Note that third-parties programs should use the stable C API instead of the unstable C++ one. This package contains the headers and libraries needed to develop programs using GEOS. This package contains stuff to be used to develop programs based on the GeoTIFF library. These set of libraries allow manipulating geographic and Cartesian data sets (including filtering, trend fitting, gridding, projecting, etc.) and producing Encapsulated PostScript File (EPS) illustrations ranging from simple x-y plots via contour maps to artificially illuminated surfaces and 3-D perspective views. This package contains the files used for development of programs that use the GMT libraries (headers). The gpsd service daemon can monitor one or more GPS devices connected to a host computer, making all data on the location and movements of the sensors available to be queried on TCP port 2947. This package contains the header and development files needed to build programs and packages using libgps. This is the libgrib2c library from NCEP for encoding and decoding 'GRIB2' data formats. This package contains the static libraries and headers needed to build applications against libgrib2. HDF is a multi-object file format for storing and transferring graphical and numerical data mainly used in scientific computing. HDF supports several different data models, including multidimensional arrays, raster images, and tables. Each defines a specific aggregate data type and provides an API for reading, writing, and organizing the data and metadata. New data models can be added by the HDF developers or users. This package contains development stuff, including files and static library for the HDF package in the flavor compatible with the NetCDF library. This package contains development stuff, including files and static library for the HDF package and some HDF API reference manpages. This package contains development files for serial platforms. This package depends on the default MPI version of HDF5 for each platform. This package contains development files for use with MPICH2. Warning: the C++ interface is not provided for this version. This package contains development files for use with OpenMPI. This package is a transitionnal package from libhdf5-serial-dev to libhdf5-dev. It can safely be removed. HDF-EOS5 is a software library designed built on HDF5 to support EOS-specific data structures, namely Grid, Point, and Swath. The new data structures are constructed from standard HDF data objects, using EOS conventions, through the use of a software library. A key feature of HDF-EOS files is that instrument-independent services, such as subsetting by geolocation, can be applied to the files across a wide variety of data products. This package contains include files and static libraries for HDF-EOS5. This package provide files for translation from libhighgui-dev to subdivided packages. This is a library for use with applications that want to parse, generate and operate on KML, a geo-data XML variant. It is an implementation of the OGC KML 2.2 standard. It is written in C++ and bindings are available via SWIG to Java and Python. This package contains files required to build C/C++ programs which use the KML library. libLAS is a C/C++ library for reading and writing ASPRS LAS versions 1.0, 1.1 and 1.2 data. The LAS format is a sequential binary format used to store data from sensors and as intermediate processing storage by some LiDAR-related applications. LiDAR (Light Detection and Ranging) is an optical remote sensing technology that measures properties of scattered light to find range and/or other information of a distant target. The prevalent method to determine distance to an object or surface is to use laser pulses. This package contains the development files to build applications in C++. This library is the generic geometry handling section of PostGIS. The geometry objects, constructors, destructors, and a set of spatial processing functions, are implemented here. This package contains the development files. geometry.hpp provides header-only, generic C++ interfaces for geometry types, geometry collections, and features. These types are designed to be easy to parse and serialize to GeoJSON. They should also be a robust and high performance container for data processing and conversion. Mapbox variant has the same speedy performance of boost::variant but is faster to compile, results in smaller binaries, and has no dependencies. Mapbox variant has been a very valuable, lightweight alternative for apps that can use c++11 or c++14 but that do not want a Boost dependency. Mapbox variant has also been useful in apps that do depend on Boost, like Mapnik, to help (slightly) with compile times and to majorly lessen dependence on Boost in core headers. The output geometry from each of these operations is guaranteed to be valid and simple as per the OGC. Mapnik is an OpenSource C++ toolkit for developing GIS (Geographic Information Systems) applications. At the core is a C++ shared library providing algorithms/patterns for spatial data access and visualization. This package contains the development headers, API documentation, and build utilities. This package contains the development files for the shared library. MapServer is a CGI-based framework for Internet map services which supports Open Geospatial Consortium (OGC) standards. Scripting functionality in MapScript is provided by the suggested mapscript library packages. This package contains development files for building software that uses the Marble globe widget library. NetCDF (network Common Data Form) is a set of interfaces for array-oriented data access and a freely distributed collection of data access libraries for C, Fortran, C++, Java, and other languages. The netCDF libraries support a machine-independent format for representing scientific data. Together, the interfaces, libraries, and format support the creation, access, and sharing of scientific data. This package contains headers for the C++ library. This version of the netCDF C++ library is provided for backwards compatibility as a separate package. It was developed before key C++ concepts like templates, namespaces, and exceptions were widely supported. It's not recommended for new projects, but it still works. This version of the C++ interface only supports the "classic" data model from the netCDF-3 release. This package contains headers for the legacy C++ library. This package contains headers for the Fortran library. OGDI is the Open Geographic Datastore Interface. OGDI is an application programming interface (API) that uses a standardized access methods to work in conjunction with GIS software packages (the application) and various geospatial data products. OGDI uses a client/server architecture to facilitate the dissemination of geospatial data products over any TCP/IP network, and a driver-oriented approach to facilitate access to several geospatial data products/formats. This package contains the development files to build OGDI enabled programs. This package contains the header files and static library needed to compile applications that use OpenCV (Open Computer Vision) Camera Calibration library. This package contains the header files and static library needed to compile applications that use OpenCV (Open Computer Vision) contrib library. This package contains the header files and static library needed to compile applications that use OpenCV (Open Computer Vision) core. This is a metapackage providing development package necessary for development of OpenCV (Open Computer Vision). This package contains the header files and static library needed to compile applications that use OpenCV (Open Computer Vision) Feature Detection and Descriptor Extraction library. This package contains the header files and static library needed to compile applications that use OpenCV (Open Computer Vision) Clustering and Search in Multi-Dimensional spaces library. This package contains the header files and static library needed to compile applications that use OpenCV (Open Computer Vision) GPU library. This package contains the header files and static library needed to compile applications that use OpenCV (Open Computer Vision) High-level GUI and Media I/O library. These are the development files for libosmgpsmap0, needed only if you're writing or compiling an application which will use it. Osmium is a header-only library, so there is nothing to compile to build it. Just include the header files you need. This package contains the Osmium library headers. This package provides the C headers to be used in third-party applications. Open Source Software Image Map (OSSIM) is a high performance engine for remote sensing, image processing, geographical information systems and photogrammetry. It has been actively developed since 1996. Designed as a series of high performance software libraries, it is written in C++ employing the latest techniques in object-oriented software design. The library provides advanced remote sensing, image processing, and geo-spatial functionality. A quick summary of OSSIM functionality includes ortho-rectification, precision terrain correction, rigorous sensor models, very large mosaics, and cross sensor fusions, a wide range of map projections and datums, and a large range of commercial and government data formats. The architecture of the library supports parallel processing with mpi (not enabled), a dynamic plugin architecture, and dynamically connectable objects allowing rapid prototyping of custom image processing chains. This package includes the development files to build programs that use the OSSIM library. PDAL is a BSD licensed library for translating and manipulating point cloud data of various formats. PDAL can be used to read, write and translate point cloud data in many formats. Support is included for input files of LAS, LAZ, SBET, BPF, QFIT and others. PDAL can also read from and write to databases that support point cloud storage, including Oracle, Postgres and SQLite. PDAL should not be confused with PCL (Point Cloud Library). PCL is a library specifically designed to provide algorithmic analysis and modification of point clouds. PDAL provides a limited interface to the facilities of PCL, but does not in general attempt to duplicate its capabilities. This package contains the PDAL development files. protozero is a minimalistic protocol buffer decoder and encoder in C++. Designed for high performance. Suitable for writing zero copy parsers and encoders with minimal need for run-time allocation of memory. Low-level: this is designed to be a building block for writing a very customized decoder for a stable protobuf schema. If your protobuf schema is changing frequently or lazy decoding is not critical for your application then this approach offers no value: just use the decoding API available via the C++ API that can be generated via the Google Protobufs protoc program. This package contains the protozero headers. QGIS is a Geographic Information System (GIS) which manages, analyzes and display databases of geographic information. This package contains the headers and libraries needed to develop plugins for QGIS. librasterlite2 is an open source library that stores and retrieves huge raster coverages using a SpatiaLite DBMS. It is intended to completely replace and supersede librasterlite. The two projects are completely unrelated: the unique similarity between both is just in covering the same identical application area. The RT Topology Library exposes an API to create and manage standard (ISO 13249 aka SQL/MM) topologies using user-provided data stores. The code is derived from PostGIS liblwgeom library enhanced to provide thread-safety, have less dependencies and be independent from PostGIS release cycles. SAGA GIS (System for Automated Geoscientific Analyses) is a geographic information system used for editing and analysing spatial data. This package contains the header files for developing with SAGA. Install this package if you wish to develop software that uses the SAGA API. SFCGAL is a C++ wrapper library around CGAL with the aim of supporting ISO 19107:2013 and OGC Simple Features Access 1.2 for 3D operations. SFCGAL provides standard compliant geometry types and operations, that can be accessed from its C or C++ APIs. PostGIS uses the C API, to expose some SFCGAL's functions in spatial databases (cf. PostGIS manual). This package includes the development files. Spatialindex is a C++ library that provides a framework for developing spatial indices. Currently it defines generic interfaces, provides simple main memory and disk based storage managers and a robust implementation of an R*-tree, an MVR-tree and a TPR-tree. This package contains the development files to build third parties programs. The SpatiaLite extension enables SQLite to support spatial (geometry) data in a way conformant to OpenGis specifications, with both WKT and WKB formats. This package contains development files (static libraries and header files). TerraLib enables quick development of custom-built geographical applications using spatial databases. As a research tool, TerraLib is aimed at providing a rich and powerful environment for the development of GIS research, enabling the development of GIS prototypes that include new concepts such as spatio-temporal data models, geographical ontologies and advanced spatial analysis techniques. 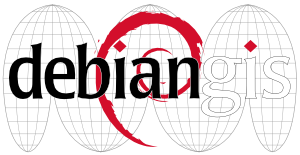 TerraLib defines a geographical data model and provides support for this model over a range of different DBMS (MySQL, PostgreSQL, ORACLE and ACCESS), and is implemented as a library of C++ classes and functions, written in ANSI-C++. This package contains development files for terralib. The UDUNITS package supports units of physical quantities (e.g., meters, seconds). Specifically, it supports conversion between string and binary representations of units, arithmetic manipulation of units, and conversion of numeric values between compatible units. The package is written in the C programming language. This package provides the include files and static libraries for development. Pktools is a collection of programs to perform operations, mostly on raster geolocated images. It heavily relies on the Geospatial Data Abstraction Library (GDAL) and OGR. The programs are similar to the GDAL tools (gdalinfo, gdal_translate, gdal_merge, ...) and some of the functionalities provided in pktools already exist in the GDAL tools. All utilities in pktools use command line options and have a built in help, and include more than thirty binaries to edit, change, crop, classify, compare, dump, fill, enhance images and many other common operations useful in the remote sensing field of image analysis. This package contains the files needed to develop a software that uses the pktools libraries. Cligj is a small library which can be used to standardise processing of geoJSON in Python command line programs. This package provides the Python 2 version of the library. python-geohash provides fast and accurate geohash encoding and decoding functionality. Geohash is a latitude/longitude geocode system (a string representation of two dimensional geometric coordinates). In addition to geohash, this module also supports the quadtree, jpgrid (JIS X 0410) and jpiarea grid codes. mapbox-vector-tile provides encoding & decoding support for data conforming to the Mapbox Vector Tile specification in Python. This package contains the library for Python 2. This package contains the Python module. PySAL is an open source library of spatial analysis functions written in Python intended to support the development of high level applications. It is important to underscore what PySAL is, and is not, designed to do. First and foremost, PySAL is a library in the fullest sense of the word. Developers looking for a suite of spatial analytical methods that they can incorporate into application development should feel at home using PySAL. Spatial analysts who may be carrying out research projects requiring customized scripting, extensive simulation analysis, or those seeking to advance the state of the art in spatial analysis should also find PySAL to be a useful foundation for their work. End users looking for a user friendly graphical user interface for spatial analysis should not turn to PySAL directly. Instead, they should consider projects like STARS and the GeoDaX suite of software products which wrap PySAL functionality in GUIs. At the same time, it's expected that with developments such as the Python based plug-in architectures for QGIS, GRASS, and the toolbox extensions for ArcGIS, that end user access to PySAL functionality will be widening in the near future. This package contains the pysal library for Python 2. This package provides the Python 3 version of the library. This package contains the module for Python 3. HDF-EOS5 is a software library designed built on HDF5 to support EOS-specific data structures, namely Grid, Point, and Swath. This package provides Ruby interface to the HDF-EOS5 library built on the NArray library, which is an efficient multi-dimensional numeric array class for Ruby. RubyNetCDF is a Ruby interface of netCDF library built on the NArray library, which is an efficient multi-dimensional numeric array class for Ruby. The KML Framework is a library/framework for generating Google Earth KML (Keyhole Markup Language) documents. The framework is based on the work done by Eivind Bøhn as a part of his Master Thesis. Cartopy is a Python package designed to make drawing maps for data analysis and visualisation easy. This package provides the Python 2 library. CF is a netCDF convention which is in wide and growing use for the storage of model-generated and observational data relating to the atmosphere, ocean and Earth system. This package is an implementation of the CF data model, and as such it is an API allows for the full scope of data and metadata interactions described by the CF conventions. Read CF-netCDF files, CFA-netCDF files and UK Met Office fields files and PP files. Write fields to CF-netCDF and CFA-netCDF files on disk. Aggregate collections of fields into as few multidimensional fields as possible using the CF aggregation rules. Create, delete and modify a field’s data and metadata. Select and subspace fields according to their metadata. Perform broadcastable, metadata-aware arithmetic, comparison and trigonometric operation with fields. Collapse fields by statistical operations. Sensibly deal with date-time data. Visualize fields the cfplot package. All of the above use Large Amounts of Massive Arrays (LAMA) functionality, which allows multiple fields larger than the available memory to exist and be manipulated. This package provides the Python 3 library. LASzip quickly turns bulky LAS files into compact LAZ files without information loss. This package contains the OSSIM GUI library development files. This package contains the OSSIM planet library development files. This package contains the OSSIM planet Qt library development files. This package contains the OSSIM WMS library development files.